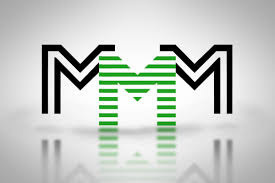 The money making scam, Mavrodi Mundial Moneybox (MMM), that collapsed months ago, has launched a weekly promotional stunt, obviously aimed at wooing old and unsuspecting new ‘investors’. A letter displayed on the pages of participants of the scheme, urges them to invite new members. Members must invite new participants and register them as referrals to qualify for the contest. “MMM Nigeria launches the first Promo-Task Contest – which a relevant section has been created for the contest in the Personal Office. “Winners are selected based on the number of points received for completing promo-tasks. Whoever receives the biggest number of points becomes the winner. “The contest period is from Monday to Sunday while at the end of each week; winners are announced and awarded Mavros (cash prizes) available for output. “In the first contest, there are 50 prizes. First place will win N500,000; second place N300,000 and third place winner will take home N200,000. “Fourth place to 10th place winner get N100,000 each; 11th to 30th place wins N50,000 each while participants who placed 31th to 50th wins N30,000 each. “Members can complete both online and offline tasks with focus to promoting the community and contribute to growth of the scheme. The scheme has been mired in controversies after it placed a one-month freeze on all withdrawals from the scheme on Dec. 13, 2016. The scheme, however, made a comeback on Jan. 13 and quickly placed a limit to the number of withdrawals from old-confirmed mavros (money), drawing wild condemnation from members and making many of them walk away.